This was the first book I ever read that focused entirely on filmmaking as a craft; as a series of tasks and skills that needed to be rehearsed and focused on. 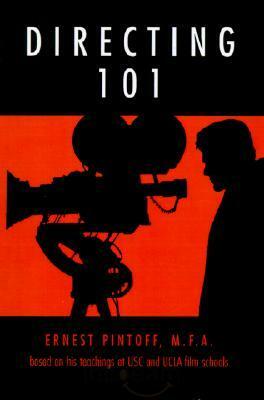 I think I must have been 14 or 15 when I received Directing 101 as a gift. Up until then (and in a more advanced way now) much of my filmmaking was about trial and error and having this book proved to be a great introduction to how ideas and creating could really be turned into a strategic process. Directing 101 is written by Ernest Pintoff who taught at USC and UCLA and the real strength of the book is in its general and broad descriptions of all the things that a director needs to consider. From writing your screenplay to blocking a scene to speaking with your actors and the various roles of a film crew, as a teenager this was incredibly valuable as I hadn't even considered the value or distinction between the roles of a producer or cinematographer or director of photography. When you're just starting out you're inclined to just point and shoot and hope that everything comes together in post. It was books like this that made me think more critically about what I was doing. There came a point for me where I knew that this was something I wanted to pursue as a career, and suddenly there was just so much to see and do. Despite how amateur my earliest projects were, I still look back and think about how ambitious I was trying to be. As a precursor to going to film school, books like this were a huge motivation and it's why I wanted to write about it. Inside you won't find many things that you haven't heard or thought of before, but they will be explained in a more cohesive way that can really help those who are just getting into film and video. It's a good reference and step by step walk through of what it actually means to be a director. If you want to make more than just a point and shoot video, pick up one of the hundreds of books just like this to put that extra bit of effort into your creative process and to further challenge yourself with relevant lessons. I have my cousin Leslie to thank for this book. It's now one of many that I keep with my film texts as a reminder of my earliest attempts to make better and better movies. There's never a shortage of new things to learn.